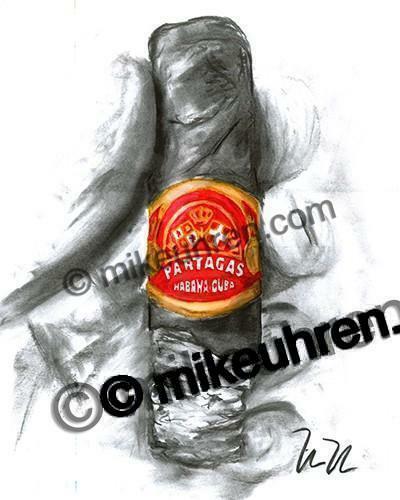 Another year of Cigar Art has begun. 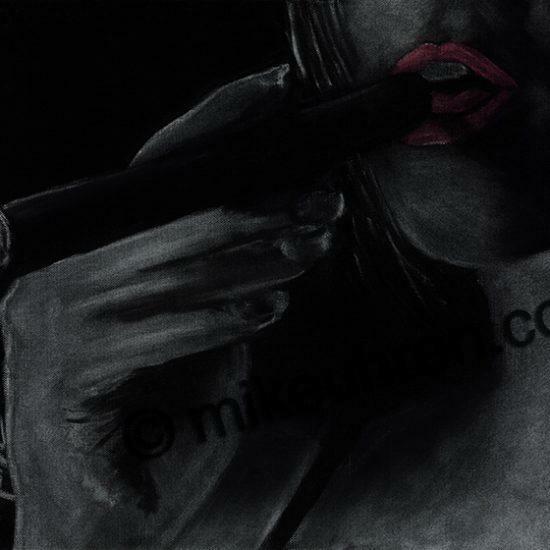 The start of year TEN of cigar exclusive artwork! 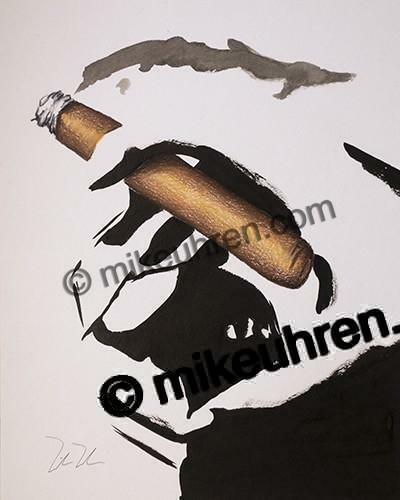 I specialize in Acrylic, Pen & Ink, watercolor, & charcoal cigar art for those that appreciate the finer aspects of the tobacco leaf. 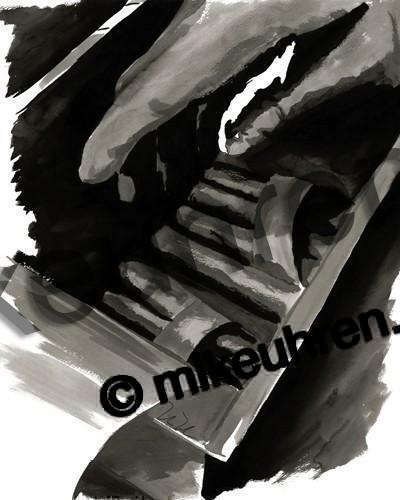 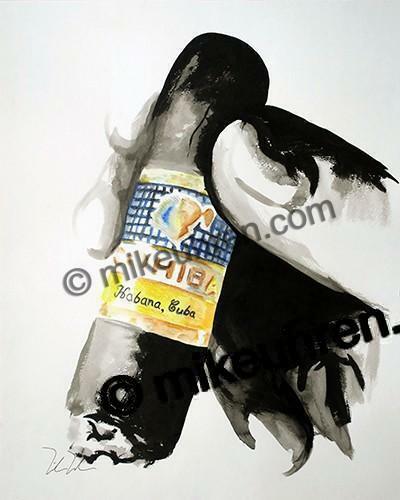 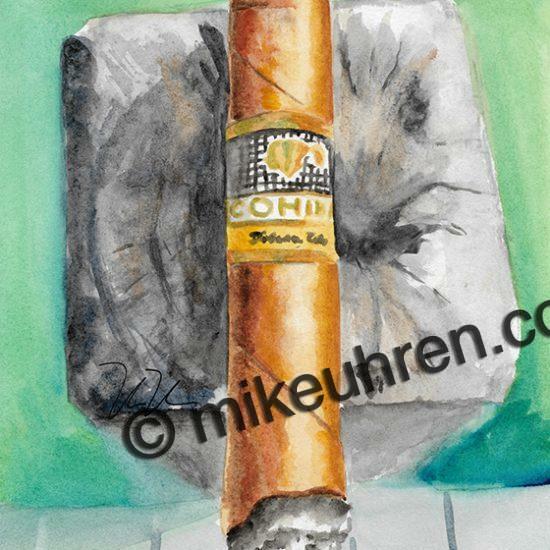 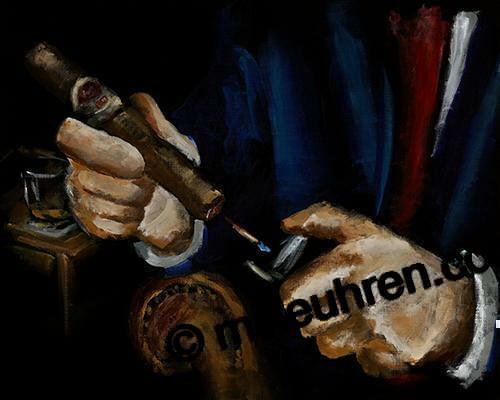 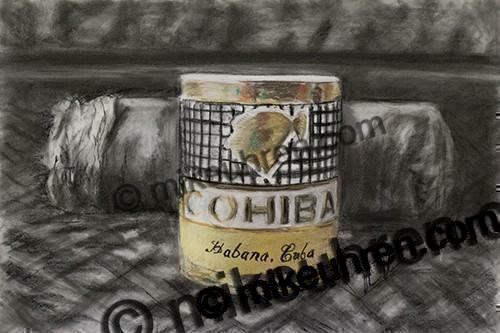 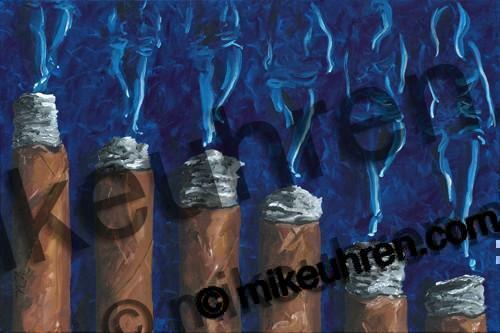 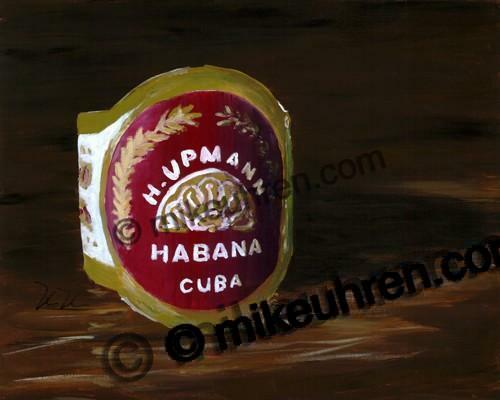 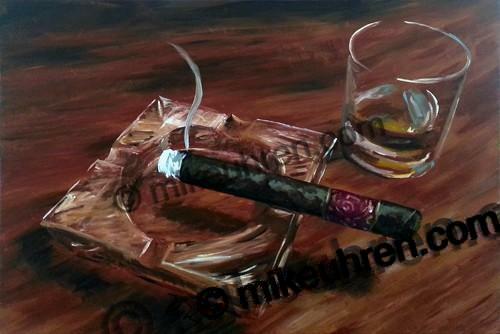 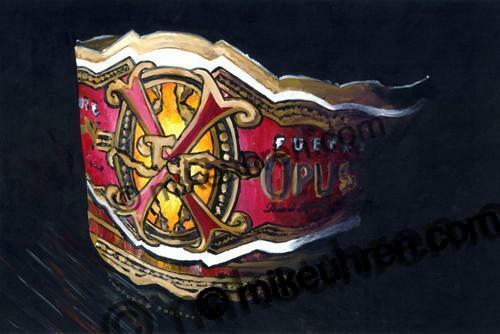 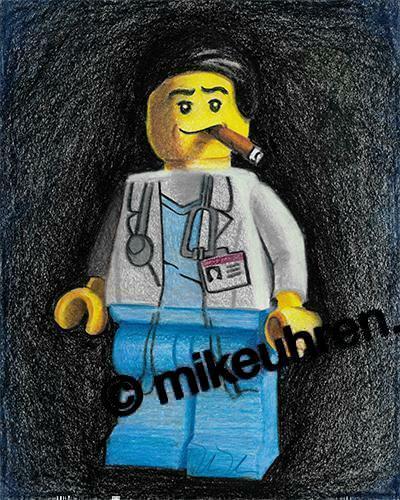 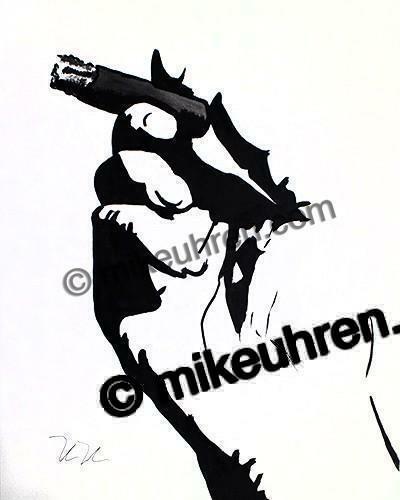 My artwork hangs in corporate cigar offices, personal cigar rooms, and cigar shops & shops around the country. 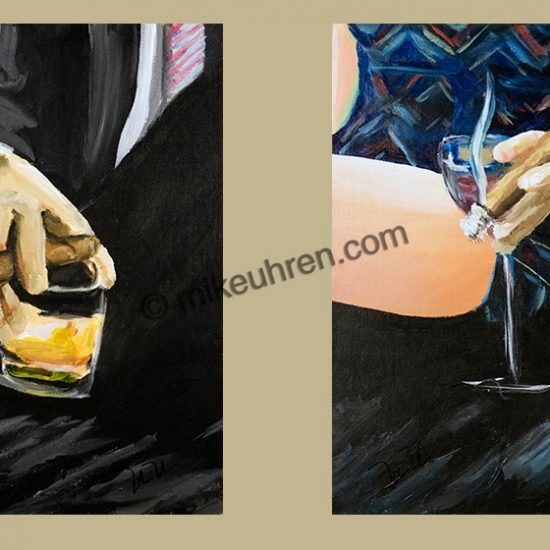 As you browse through my work, I hope you enjoy the detail, unique vision, and style. 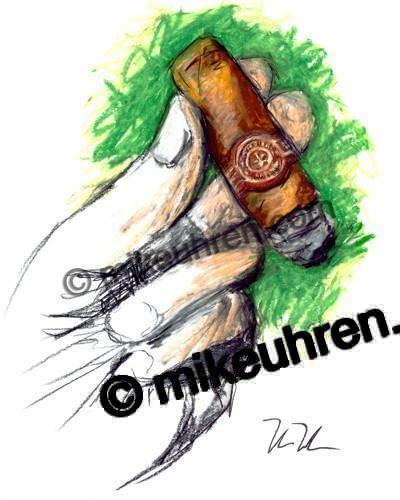 No one else in the Country is doing this quality of Cigar Art. 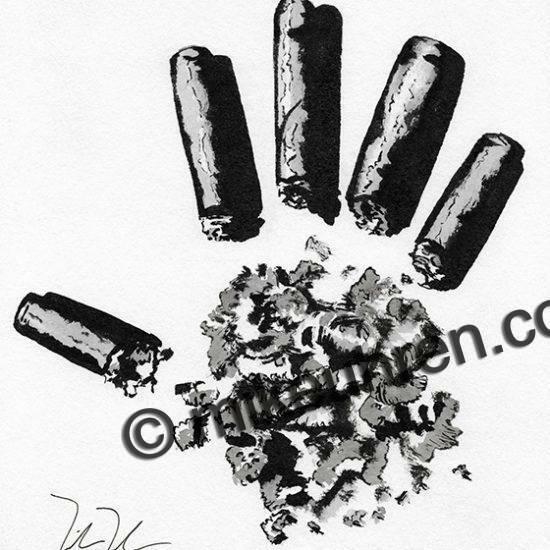 You can purchase either an original, a print (some limited) to have as your own. 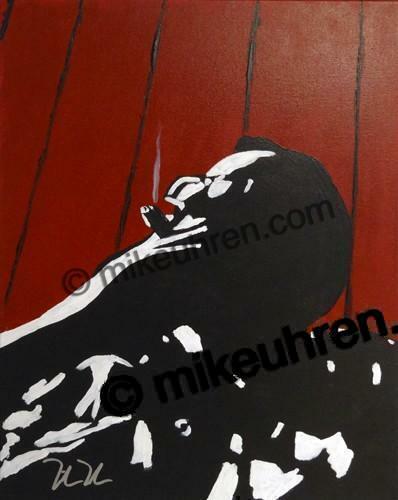 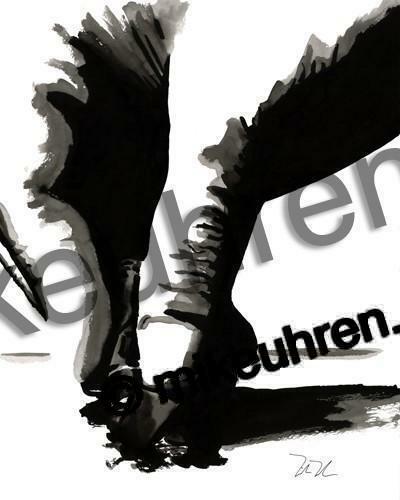 You can also arrange for commissioned one of a kind art by contacting me directly. 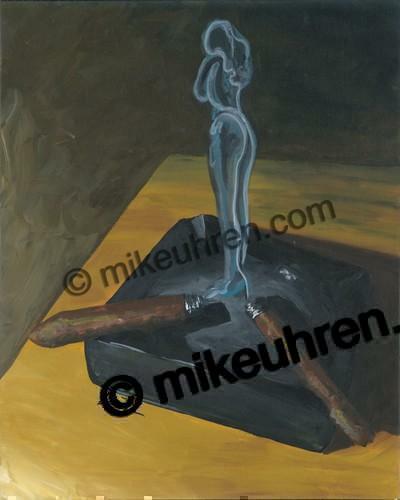 Enjoy the galleries!